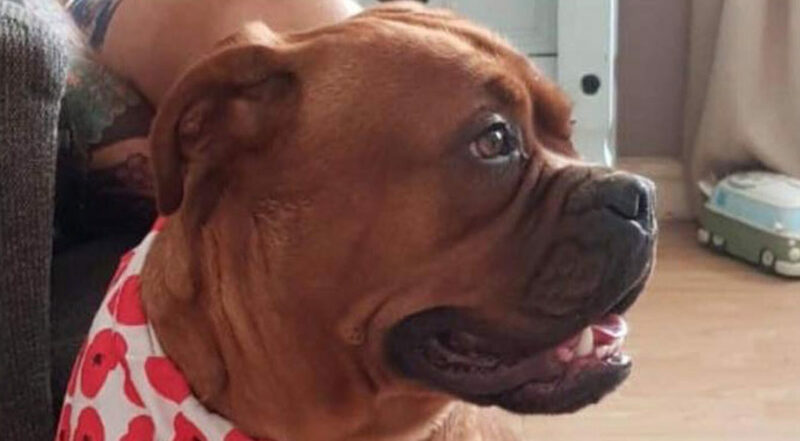 Millie is a Dogue de Bordeaux cross who is 30 months old. She is good with other dogs – however she needs an owner used to the bigger breed dogs as she is a big lady. She needs someone to further her training whilst having the patience and time to to help her grow. A lovely girl who will flourish in the right hands. Millie is based in Dorset and her rehoming fee is 250 U.K. If you think you can offer Millie the loving and patient home she deserves, then please apply for adoption below. Millie’s adoption fee is £200.